President of Sky Farm Productions Inc., which produced environmental programming for public television, and a familiar and friendly face at SEJ conferences for years. Read more here. Some voices can never be silenced, even when they're rarely heard. National Public Radio (NPR) associate newscast editor Brenda Box was one of those essential behind-the-scenes voices, whose editorial work shaped daily newscasts, and whose personal wisdom and wicked wit made for long-lasting, far-flung friendships. Box died of pancreatic cancer March 7, 2013. © Photo courtesy Kathy Rushlow. Read more. The community that comprises the Society of Environmental Journalists and environmental journalism were enhanced beyond measure by Gary Braasch. We celebrate his life, and mourn his unexpected death March 7, 2016, while documenting climate change along the Great Barrier Reef. SEJ’ers have many cherished memories of working with Gary. He was greatly loved, and will be greatly missed. We'll be considering the best way to honor Gary's memory, his work and his generosity of spirit. Read more here. SEJ lost long-time member Walter Braasch on Feb. 9, 2017 at the age of 71. Walter, a prolific author of 20 books, was a former award-winning newspaper reporter and editor, and professor emeritus of mass communications and journalism at Bloomsburg University. His last book, "Fracking America: Sacrificing Health and the Environment for Short-Term Economic Benefit" was published in 2015. Read Walter's obituary. Mark Brush, Michigan Radio's digital director and editor @environreport, lost his battle with brain cancer on March 12, 2018. 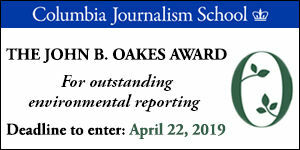 He was an SEJ member since 1999 and served as a contest judge in our Awards for Reporting on the Environment. He will be missed. Read Mark's obituary. Founding board member and award-winning journalist lived SEJ's mission. Read more here. Longtime Delaware journalist. Read more here. Former Dayton Daily News environment reporter. Read more here. SEJ and journalism lost an icon on Tuesday, February 11, 2014 with the passing of Canadian print and broadcast journalist Peter Desbarats at the age of 80. Peter was a member of SEJ's advisory board, served two years as an SEJ Awards for Reporting on the Environment judge, and moderated a panel on energy, "Tales From the Oilpatch: From Canada to the Midwest," in October 2009 at SEJ's 19th Annual Conference in Madison, Wisconsin. Read more here. 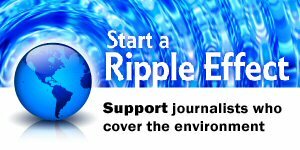 Ground-breaking environmental reporter in Louisiana and SEJournal associate editor. Read more here. SEJ members and staff mourn the loss of award-winning environmental journalist Kathie Durbin, an SEJ member since 1996. A dedicated reporter and author, determined to make her final deadline, Kathie completed her last book before passing on March 15, 2013; The Columbia River Gorge: Bridging a Great Divide is scheduled to be published by OSU Press. Read Cascadia Times colleague Paul Koberstein's tribute to Kathie, as well as other coverage, and post your remembrances here. © Image: Courtesy Elizabeth Feryl. William R. Freudenburg, author, educator, science communicator and beloved member of the SEJ community, died at his home in Santa Barbara, CA, on Dec 28, 2010. He was 59. As a professor of environmental studies at UC Santa Barbara, Bill wrote and spoke thoughtfully and often about the need for scientists to engage the public. He worked consistently in various settings to improve communication between scientists and journalists. He also wanted journalists to understand the professional risks scientists take in this process, a topic he explored last year for SEJournal. Bill was still sharing his wry humor and best advice with us through the fall, when SEJ board and staff were finalizing plans for a board meeting, roundtable with UCSB faculty and public program on environmental journalism that will take place at UC Santa Barbara later this month, truly in his memory. Read more. UCSB video website in Bill's honor. SEJ members were saddened by the Sept. 4, 2016 death of Michael Frome, at age 96, in Port Washington, Wisc. A gifted advocate for national parks and wilderness areas, Frome’s writing spanned both the post-WWII conservation movement and the environmental movement of the latter 20th century. He authored a dozen books, such as "Rediscovering National Parks in the Spirit of John Muir" (2015) and "Strangers in High Places: The Story of the Great Smoky Mountains" (1994). He also received numerous conservation writing awards. Read more. The SEJ family mourns the loss of SEJ member Elizabeth Grossman, who passed away on July 28, 2017. Lizzie was an accomplished independent environmental health journalist whose incisive reporting, deep passion for her work and infectious humor earned her respect and admiration from those who knew her and worked alongside her. Lizzie was a fierce advocate for SEJ support for freelance journalists. In her honor, SEJ has established "The Lizzie," a $1,500 fellowship to SEJ's annual conference beginning with SEJ 2017 in Pittsburgh. 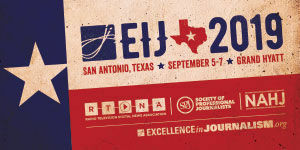 The fellowship will go to an SEJ freelance member who has not attended the annual conference in at least three years. Read more about Lizzie and the fellowship here. SEJ honors the memory of Clem Henriksen, who passed away on August 21, 2015. Clem enriched SEJ not only with his good humor and ready smile, but also with serious expertise on Geographic Information Systems. His work over many years helped journalists develop skills for mapping as a storytelling platform. He was also the supportive husband of Carolyn Whetzel, long-serving SEJ board member and conference chair. Read more, and post your remembrances here. Physician and outdoor editor of The Norman (OK) Transcript. Read more here. The SEJ community was devastated this week by the death of Peter B. Lord on Wednesday, April 4th. Peter was one of the most focused, most inspired and most inspiring environmental journalists in the membership. Our sympathies go out to his family, his colleagues and the readers who will be missing his expertise and unique reports. Photo credit: © Curt Milton. Read more. Paul H. MacClennan, a long-time SEJ member and award-winning Buffalo News environmental writer, died October 2, 2017 at the age of 91. More. Environmental journalist, photographer and graphic artist. Read more here. A superb journalist who believed deeply in the cause of improving environmental journalism by building a network of committed environmental journalists. Read more here. "Stephen H. Schneider, a Stanford biology professor and a leading researcher in climate change, has died. Schneider was flying from a science meeting in Stockholm, Sweden, to London on July 19, when he apparently suffered a heart attack. He was 65....He had been at Stanford University since 1992 and was a lead author among scientists on the United Nations' Intergovernmental Panel on Climate Change, which shared the 2007 Nobel Peace Prize with former Vice President Al Gore....Schneider was influential in the public debate over climate change and wrote a book, Science as a Contact Sport: Inside the Battle to Save Earth's Climate, about his experiences. He also wrote a book about his battle with leukemia, Patient from Hell." Read more. SEJ mourns the death of Debra Schwartz, SEJ member since 1995, and previously a mentor in SEJ's Mentor Program. Debra was found dead on Sunday, May 8, 2016, after an apparent fall into a canyon. Read more here. SEJ is saddened to share news from Mike Phillips, executive director of the Scripps Howard Foundation: SEJ founder David Stolberg died May 24, 2011. He was 84. Members will recall that "The Stolberg Award" is SEJ's highest organizational recognition for meritorious volunteer service. We'll be honoring him in various ways this year, and very proud to give out The Stolberg as long as member-volunteers continue to power this group the way that they (you) surely do. Read more. SEJ member and president of the National Association of Science Writers. Read more here. 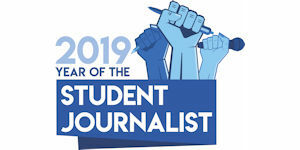 Staff writer for the (Jackson, Mississippi) Clarion-Ledger and energetic volunteer for SEJ. Read more here. 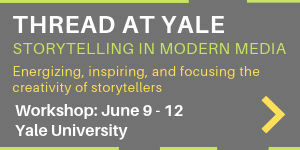 Naturalist, woodsman, fisherman, canoe builder, river guide, farmer, land steward, teacher, writer and associate director of IJNR (Institute for Journalism and Natural Resources). Read more here. Bob Weinhold, an SEJ member from 1999 - 2015 and TipSheet reporter, died on June 6, 2016, after a 25-year battle with environmental illnesses. Read more.